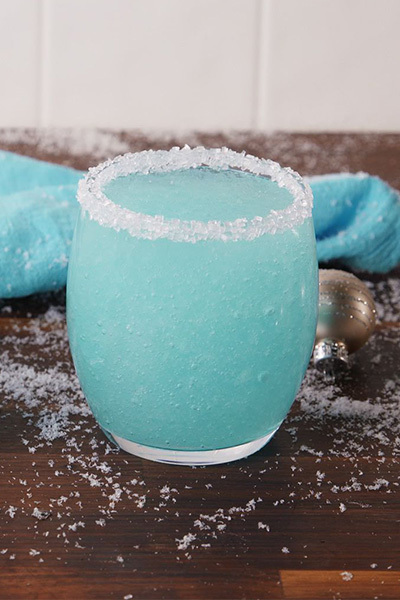 Step 1: In a blender, combine vodka, champagne, blue curacao, lemonade, and ice. Blend until combined. Step 2: Run a lemon wedge around the rim of each glass then dip in sanding sugar. Step 3: Pour frosties into rimmed glasses and serve immediately. Enjoy these delicious adult frosties from Delish!